According to interviews, satellite images, photographs, and firsthand observations by a Post journalist, it was found that Chinese troops have settled in one of the most strategic areas of central Asia, termed ‘a choke point in Tajikistan’. The region has been (and is) still highly strategic. 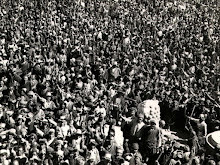 Last year a publication The 1959 Tibetan Uprising Documents: The Chinese Army Documents was released on Kindle. It was a collection of top secret documents of the Military Intelligence of the People’s Liberation Army (PLA), dating from the end of the 1950s till the 1962 War with China. Apart from the fact that many airplanes had been sent to the Korean front and that the Soviet Union had stopped supplying spare parts for the MIG fighter planes, the PLA Air Force (PLAAF) had a major hurdle, no fuel for its few planes. The amount of gasoline reaching the plateau from China via the Qinghai-Tibet or the Sichuan-Tibet highways, was not enough to maintain a large occupation force on the Tibetan plateau (read the Indian borders) and at the same time, provide the necessary fuel for the PLAAF. One of the published documents mentioned secret statistics for ‘border trade’ and the import of fuel, gasoline and other commodities between 1953 and 1967. What do the statistics show? In 1958, 380 tons of gasoline was imported into Tibet; in 1959, nothing; in 1960, 2220 tons, in 1961, 96 tons and 1962, 30 tons. It means that in 1960 there was a huge surge in fuel import. There was no possibility of any gallons passing unnoticed through Nathu-la or Jelep-la, the two main passes between Sikkim and Chumbi Valley (Tibet); ditto for the passes in Uttarakhand or NEFA (Arunachal Pradesh today), or even Demchok in Ladakh, which had been closed for trade by the Chinese. The author of the publication presumed that ‘corrupt’ Indian officials had let the fuel be smuggled in. That too was not possible, first the officers of the Indian Frontier Administrative Service posted in these areas, were the most upright people and in any case, considering that a mule could only carry 40 kg per trip it would have meant thousands and thousands of mules, which did not exist on the plateau …and they would have to have been transparent. After pondering the issue, my conclusion was that this amount of gasoline could not have crossed any Indian or Nepalese border post into Tibet. It left few other possibilities. One was the Soviet Union, though it had just split with China; the relations between Beijing and Moscow had reached a breaking point by 1959. The only possibility was some under-the-table purchases through corrupt officials in Tajikistan or Kyrgyzstan; I got convinced that the gasoline had come from the same area in Tajikistan where China is today building a new base, at the edge of the Wakhan corridor and Xinjiang. An interesting lead: Tursun Uljabayev, the Party Secretary of Tajikistan in 1960 was sacked and imprisoned for serious corruption, a year later. In all probability, gasoline from Tajikistan was transported to Kashgar (or Tashgurgan) in Xinjiang and then taken over the Aksai Chin to be used in Western Tibet. It could have been done at night via the road cutting across Indian territory, which was the best protected artery in China in the 1950s and early 60s as only the PLA was allowed to use it; the traffic could have gone unnoticed for several months. It was probably why Uljabayev was caught and the import of gasoline into Tibet drastically fell in 1961 …and 1962 China had no fuel for its aircrafts. 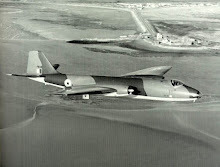 The above findings have two important corollaries; one, it confirms that the Chinese had no Air Force in flying condition at the time of the 1962 conflict with India, having no spares and no fuel. 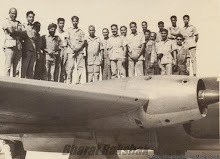 This was recently confirmed to me by Wing Commander ‘Jaggi’ Nath, who extensively flew over Tibet in secret missions between 1960 and 1962; he was awarded his first Maha Vir Chakra medal for this (he got his second in 1965 for mapping the Pakistani defenses). 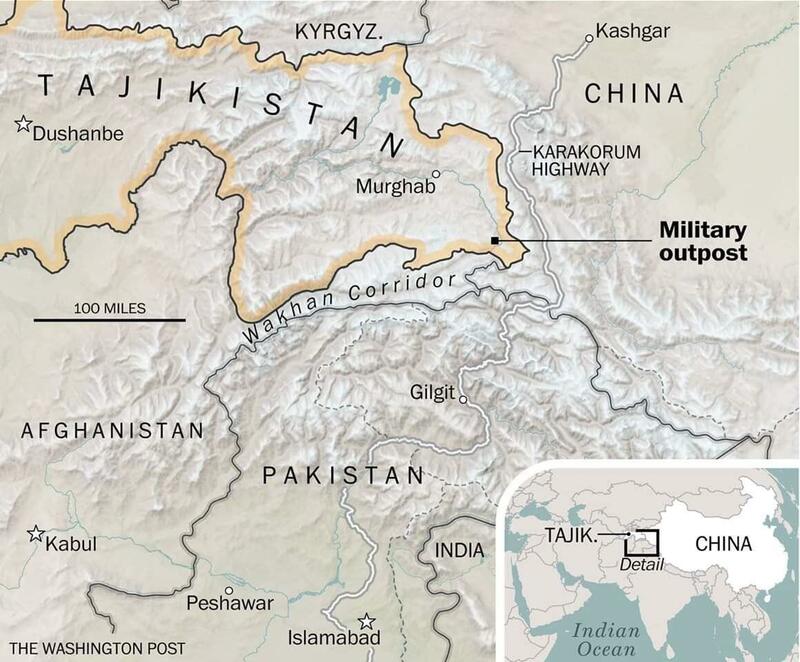 The second upshot is that the area where the Chinese are today building their new base, is highly strategic, being a relatively easy link between the oil-rich Central Asia, Afghanistan (through the Wakhan corridor), the restive Xinjiang (the hub of Xi Jinping’s Road and Belt Initiative) and Tibet. 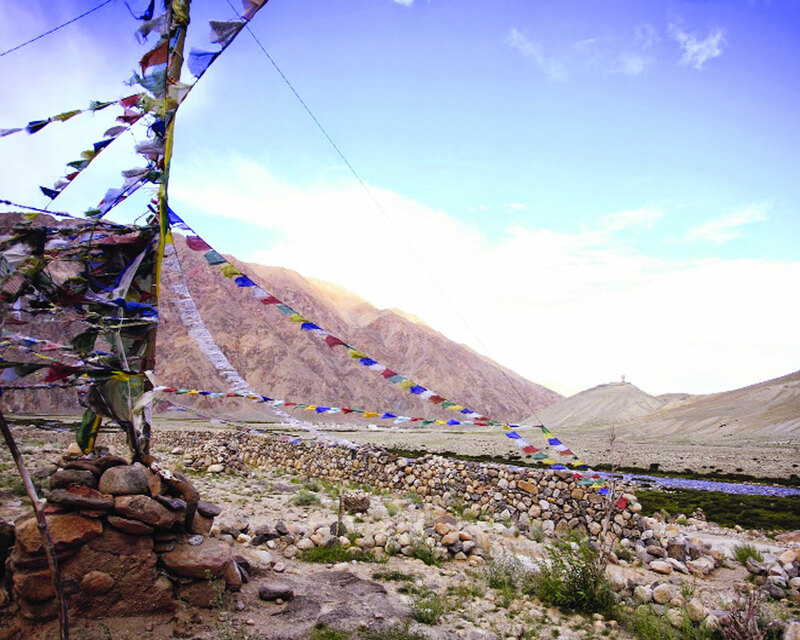 This raises another issue: why did the Indian government, which had all the information about the situation in Tibet, the deployments of the PLA on the plateau and the lack of Chinese Air Force (‘Jaggi’ Nath was never attacked or even followed during his regular sorties over Tibet), not use its jets to pound the PLA concentration near the Thagla ridge in the Tawang sector, in Walong area of Eastern NEFA or in Rezang-la in Ladakh? The only answer is, a woeful lack of leadership. Let us hope that the present bosses watch what is happening in this area. My article Xi gets PLA war-ready, India must wake up appeared in Asia Age/Deccan Chronicle on Monday. 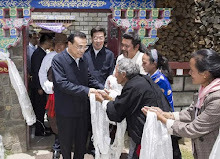 In May 2015, Chinese Premier Li Keqiang announced a strategic plan for China, known as ‘Made in China 2025’; the Middle Kingdom wants to move away from being the World's factory and shift to higher value products and services; the idea is to upgrade the manufacturing capabilities of Chinese industries. One of the tools to reach this objective is the program called ‘civil-military fusion’ (CMF) which would bring together the civil and defense R&D and developments; something unthinkable in India. On March 2, 2018, during the third meeting of the Central Commission for Integrated Military and Civilian Development (CCIMCD), President Xi Jinping emphasized the strategic importance of reducing barriers between the commercial economy and the defense industrial base. 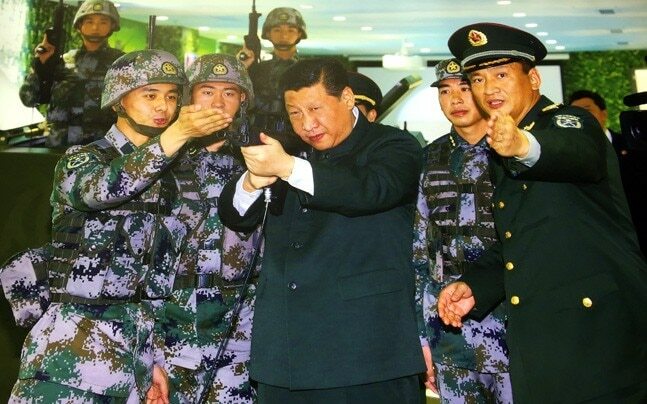 A few days later, Xi spoke of CMF as a ‘prerequisite’ for realizing the goal of building a strong military. The objective is to become the No 1 power of the planet, (in 2049, for the 100 years of the Communist Party?). All this translates directly into the military domain. Recent developments in terms of new weaponry, some of them facing India, have to be seen in this background. For example, information has recently emerged that the People’s Liberation Army Air Force (PLAAF) had deployed a new Shenyang J-16 strike fighter in strategic locations in Tibet (probably in prevision of the arrival of the game-changer Rafales on the Himalayan scene). The deployment of the J-16 could provide the PLAAF with an modern complement to the J-11B – the derivative of the Russian Su-27 Flanker. Beijing today claims that the advanced fighter now possesses ‘near stealth’ capabilities; the paint covering the plane “is a kind of cloaking coating that gives the warplane a certain stealth capability, making it nearly invisible to the naked eye and electromagnetic devices," reported the Chinese media. On January 8, the Chinese State-owned Global Times announced that some units of the PLA Ground Force (PLAGF) stationed in Tibet have been equipped with a new vehicle-mounted howitzer to boost their combat capability and improve border security. The mouthpiece of the Communist Party referred to the new system as ‘PLC-181’, claiming that it had already been deployed by an artillery brigade in Tibet during a 72-day-long stand-off in 2017 between the PLAGF and the Indian Army at the Doklam tri-junction between Sikkim, Tibet, and Bhutan. On January 4, President Xi Jinping ordered the Chinese armed forces to enhance their combat readiness, he instructed the armed forces to resolutely safeguard the national sovereignty, China’s security and development interests and be ready to withstand complex situations and severe struggles: “The world is facing a period of major changes never seen in a century”, he asserted, while speaking of the various risks and challenges facing China. Last month, Xinhua reported that some 2 million personnel had been involved in more than 18,000, mostly small-scale exercises in 2018. 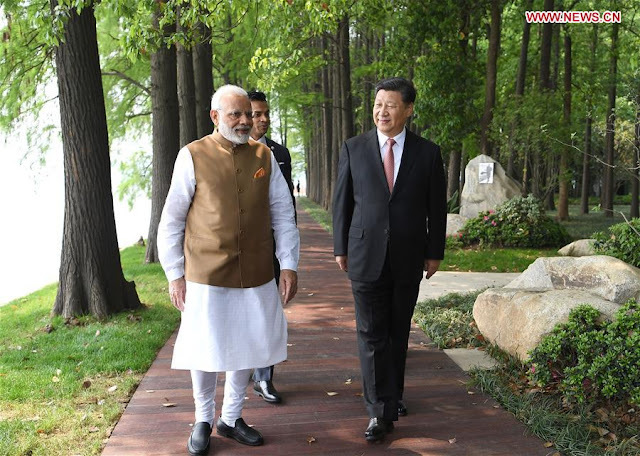 Apart from that, China has been active in boosting its border defence with India; for example, the rapid development of infrastructure on the Tibetan plateau (in particular three new airports in Lhuntse, Purang and Tingri) or new drones for better border control. In November, The Global Times quoted a professor at the National Defense University who revealed details of China's new armed reconnaissance drone, which had been seen at the Airshow China 2018 in Zhuhai: “The GJ-2 is believed to enhance China's border patrol and counter-terrorism efforts,” said the professor. The military-industrial conglomerate Aviation Industry Corporation of China had unveiled a new reconnaissance drone series. Reportedly, the GJ-2 prototype flew over the 8,848-meter Mount Everest during one trial flight. The drone has six weapon bays under its wings, capable of carrying more ordinance than its predecessors, including up to 12 air-to-surface missiles. The new-generation Type 15 lightweight battle tank, which is much swifter and has better mobility than other armoured vehicles, could easily be deployed in Tibet in the event of a conflict with India. It was also recently handed over to the PLA. All this shows that China is working hard to be ready for any contingency. India needs to wake up, closely follow the developments on the plateau and take necessary counter-measures to boost the preparedness of the Indian Army and Air Force on the Line of Actual Control (LAC). However, there are small mercies as the real situation might not be as rosy as depicted by the Communist propaganda. Let us not forget that some 200 officers of the rank of Major General and above have been ‘investigated’. What a huge gap in the hierarchy! A decade may be necessary to replace the ‘corrupt’ officers. The PLA also suffers from the ‘Peace Disease’; the PLA hasn’t faced an actual combat since the War with Vietnam in 1979. It is a huge issue for China. Despite the advances in technologies, the PLA might not be ready to face the US …or even India, at least for a few years. As usual, South Block issued a weak rebuttal. One wonders why can’t New Delhi speak of the “so-called Tibetan Autonomous Region” or lodge a strong protest each time China does repair work on the road cutting across the Aksai Chin region of Ladakh? Indian diplomats are probably too shy for this. But we should learn from China to defend our interests more vociferously. Hua’s sharp tongue expressed hopes that “India will cherish the momentum of warming bilateral ties and not take any provocative action.” What provocative action? Just the Prime Minister’s visit to an Indian state? Hua may not be aware but China’s refusal to acknowledge the McMahon Line is a relatively new phenomenon. Let us go back to 1956. As India prepared to celebrate the 2,500th anniversary of the birth of Buddha, communist China was extremely nervous; eastern Tibet was on fire with the Khampa rebellion, while central Tibet was slowly getting contaminated by the revolt. After months of prevarication, Beijing finally allowed the Dalai Lama and the Panchen Lama to visit India for the celebrations. 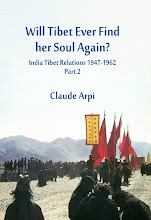 But Chinese premier Zhou Enlai was really febrile, he was aware that many Tibetans wanted the Dalai Lama to stay on in India; as a result, he visited Delhi thrice in a period of two months. The clever Zhou repeated that though people like him never knew about the McMahon Line till recently, the Kuomintang regime knew about it. Referring to the McMahon Line, he spoke of a “secret” pact between British India and Tibet at the time of the Simla conference. The Chinese do not like to remember that the Tibetans sat on an equal footing with them during the Simla conference between October 1913 and July 1914. To give an example, the proceedings of the third meeting of the Tibet conference held on January 12, 1914, mentioned the presence of Sir Henry McMahon, GOVO, KCIE, CSI, British Plenipotentiary and staff; Monsieur Ivan Chen, Chinese Plenipotentiary and staff and Kusho Lonchen Shatra, Tibetan Plenipotentiary and staff. They officially sat together for nine months; China suffers from selective amnesia today. It is a fact that it is the nationalist government which made the communists realise the extent of the Chinese territory in the area. It is Ren Naiqiang, an influential scholar during the Republican era, who first included parts of the north-eastern borders of India into the Chinese territory. In 1926, long before the beginning of the Japanese war, Ren had started wandering through Kham. 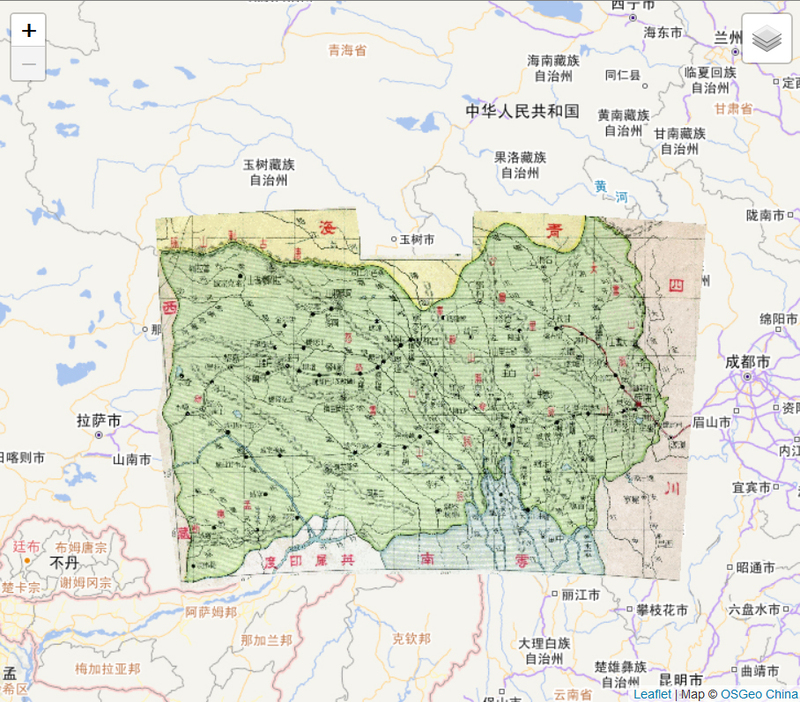 In 1936, as the Nationalist Government formally established the new province Xikang (corresponding to Kham province of Tibet), Ren Naiqiang was encouraged by Liu Wenhui, the Governor of the new province, to produce a map of the area. 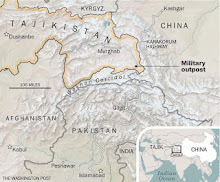 Though the Chinese had never set a foot in the area, the new map included the North East Frontier Agency (NEFA) in China. At the end of 1949, Ren Naiqiang met Marshal He Long, one of the seniormost generals of the People’s Liberation Army (PLA) and explained why his map was dependable; the Marshal was convinced and ordered the distribution of copies. On January 10, 1950, He Long sent his report to Mao Zedong strongly recommending that Ren’s map should be accepted and circulated amongst the PLA. It is after this encounter that China started “claiming” India’s NEFA (today Arunachal Pradesh). Before making outrageous claims, Hua should do her homework and know her country’s history. China has not always claimed NEFA. My article Its Time for Babudom 2.0 appeared in Mail Today. 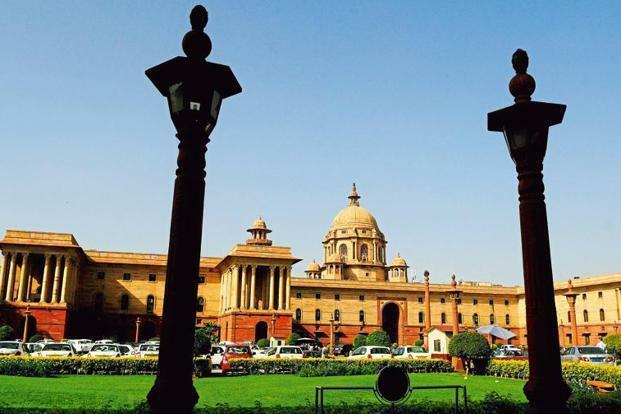 While the choice of a CBI director has been in the news, the selection of new members for the Central Information Commission (CIC), which takes care of appeals under the Right to Information Act (RTI), has received hardly any coverage. A Public Interest Litigation (PIL) filed by RTI activist Anjali Bhardwajin the Supreme Cout, requested the government to fill up the vacancies in CIC. In the process an issue plaguing India came to light. Out of 280 applicants, the search committee had shortlisted 15, 14 bureaucrats and a judge; the Supreme Court could only wonder why bureaucrats alone could make it as information commissioners. A Bench headed by Justice AK Sikri asked the Additional Solicitor General (ASG) Pinky Anand: “According to the search committee, this class (bureaucrats) is the only class which is eligible. No doubt many of them would be very good after clearing the IAS and serving in the government for 30-35 years. But why not people from other fields - academics, journalists, scientists and lawyers." For an outsider, it looks rather like appointing convicts as jailers. The RTI Act, 2005 is meant to tackle the lack of transparency in the administration; it mandates a timely response to citizen requests on any government action. One does not need to be Sherlock Holmes to trace the culprits for the opacity in the Indian administration; laws are not to be faulted, it is those who interpret and implement them, in other words the babus, who are responsible for the lack of transparency. This raises a larger question: the pivotal role of the Indian Administrative Service (IAS) in running the country. The present IAS cadre was created in January 1950 under the new Constitution of India, for taking over the administration of the Indian Dominion. While some officers get promoted from the state civil services, the main recruitment is through the Civil Services Examination (CSE). As only some 180 candidates out of over 1 million applicants, are selected through the CSE, one could consider that it is the cream of the nation. However, the world has changed since 1947, when ‘generalists’ could effectively govern the country, it is not the case anymore. To give an example, it is ridiculous that today a ‘generalist’ from the Madhya Pradesh cadre can one day be transferred from Bhopal to the Ministry of Defence (MoD) and proceed to dictate his views to someone who served more than three decades in the defence field (a Joint Secretary is supposed to be equivalent to a Major General …on paper). The courageous late Defence Minister George Fernandes had made a step in the right direction; he started sending the babus to the Siachen glacier to acquire a glimpse into what it meant to defend the border. Unfortunately, it was not followed by deeper reforms. One wonders for example, why before joining the MoD, a Joint Secretary is not required to go for a compulsory one-year course at the prestigious National Defence College? He could certainly learn a few things for when he would later deal with procurement or other sensitive fields in the Ministry. Similar rules need to be applied to other ministries. Another solution would be to have specialized cadres; there are already some, but they are usually considered ‘inferior’ by the IFS/IAS big shots. It is time to realize that the world-over, the private sector is thriving simply because it gives a due place to innovation and specialization; the world has indeed become more complicated and it requires one to possess a deeper knowledge on specific subjects …while keeping the larger perspectives. In the 1950s, a remarkable experiment was made with the Indian Frontier Administrative Service (IFAS). The initial recruitment to the IFAS was made by the Central Government through a Special Selection Board with representatives from the Ministries of External Affairs, Home and Defence, along with an expert in tribal affairs. KC Johorey, who later became Chief Secretary in Goa, was one of the first pioneers who joined the IFAS; he still remembers what Nehru told his batch: “The staff must go along with the flag and the typewriters can follow later on.” He recalls his first posting in Along in the Siang Frontier Division: “There were two houses, one for the burra sahib [Rashid Yusuf Ali, his boss], and behind another smaller hut. The houses were really huts made of bamboos, palm leaves and canes. Even the tables and the beds were of bamboos. There were no mattresses, no electricity and no furniture. The houses were very clean and airy. That was all,” says Johorey; IAFS officers are still remembered sixty years later. One of the most illustrious members of the IFAS was Maj Ranenglao ‘Bob’ Khathing, who single-handedly brought Tawang under Indian administration in February 1951; he is still considered as a god around Tawang. Incidentally, most of these officers had an Army background which was extremely useful to tackle the strategic issues involved in the border areas. The IFAS was a success; unfortunately in the late 1960s, one ‘generalist’ babu decided that the Service was illegal; it was dissolved and officers were merged into the IFS or the IAS. Bu why can’t this type of experiment be attempted again? It would bring deep changes in India, to create a modern and professional set of administrators, who would, at the same time, be in touch with the grounds realities; the time of the generalist is over. As far as the CIC is concerned, the Commissioners should come from all walks of life, including the civil society. India seems blissfully unaware that there could be a problem with Huawei; you will say. Five years ago Killi Kruparani, the MoS in the Ministry of Communications and IT admitted that an incident “about the alleged hacking of Bharat Sanchar Nigam Ltd (BSNL) network by Huawei ... has come to notice”.